The single crochet is one of the first stitches that we all learn as beginners. It is one of the most common and most used, also. This technique will help you achieve the result of the perfect circle with making minor adjustments to a pattern, without alternating it. 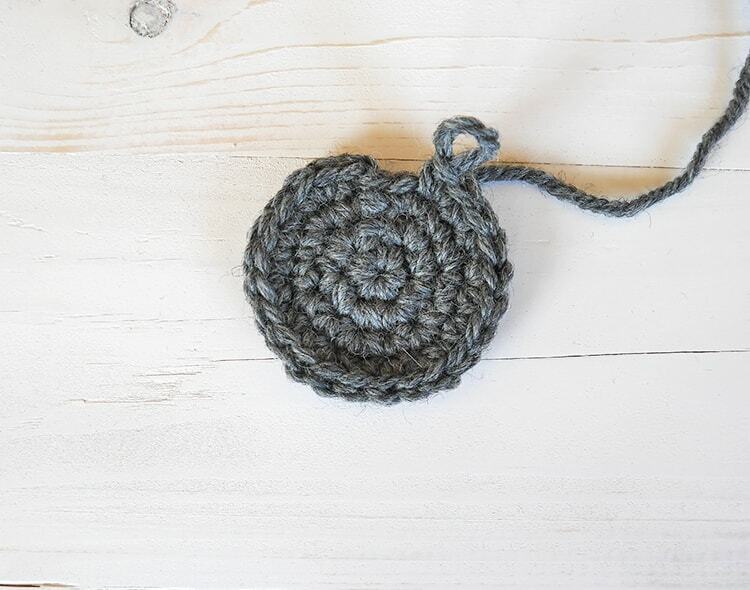 I learned this technique while making amigurumi, but it is also very useful whenever you want a flat single crochet circle, like when making coasters or face scrubbies. 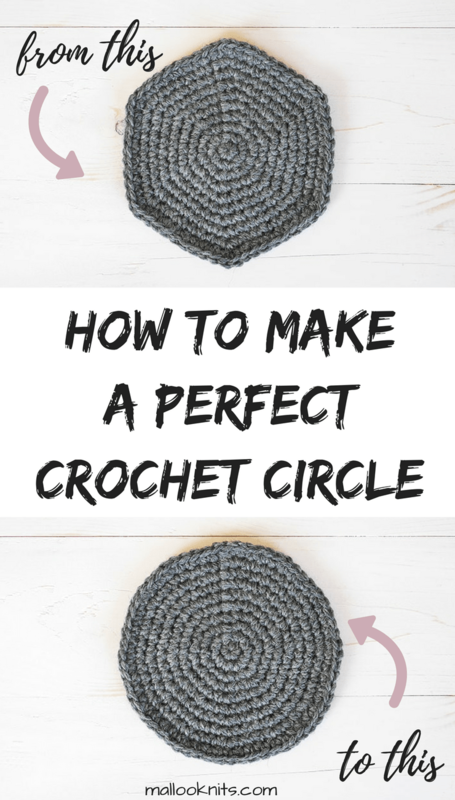 The reason that your circle looks more that a hexagon is because of the small height of the single crochet stitches and that the increases are always on top of each other. Now, what you want to do to fix that, is quite simple. You just have to alternate the placement of the increases only in even rounds. How are you going to achieve that? Well, in the rounds that you must crochet an even amount of stitches before the increase, split that number in half. First of all, the first three rounds will look exactly the same. In the 4th round, you have to make an even number of stitches before the increase. You read in the pattern “sc in next 2 st, 2sc”. Divide that number in half. 2:2=1. Are you with me so far? Next, we are going to take that number and use it in the first repeat of the pattern. For the example above we have to make 6 repeats to complete the circle. So, the first repeat is going to be “ sc 1, 2sc”. Then, for the next repeats, you follow the pattern “sc in the next 2, 2 sc”. That leaves you with one more stitch to be worked. Make a single crochet in the last stitch. That is the single crochet we didn’t make at the first repeat of the pattern in the beginning. Nothing has changed in the stitch count for this round. You still have 24 stitches. The only difference is the placement of the increases. They are not on top of each other, but somewhere in between. This will become more apparent in the following rounds. Continue with round 5 as it is because it is an odd round. 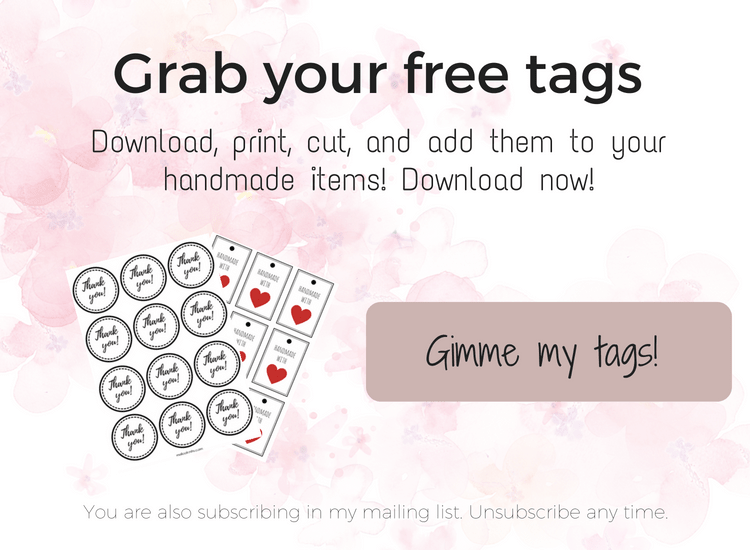 Let’s make one more even numbered round. That’s it! You don’t have to make any alterations to the pattern, just some small adjustments. For a final recap always refer to the instructions below. First three rounds stay as is. In the rounds with an even number of stitches before the increase, divide the number in half and use half of them at the beginning of the round and the rest of them in the last stitches in the end. The rest of the repeats in between stay the same. The rounds with an odd number of stitches before the increase stay as is. Was this tutorial helpful for you? Any questions? Thank you for the insight! This is so detailed written!! Does this work with continuous rounds without sl st? Awesome for ami’s for sure! WOW. This is just amazing. Really works and so simple. Thank you! Yes, sometimes we take things for granted. Although this post wasn’t about this, all the things you mention are standard crochet abbreviations used in patterns. In this case R1= round 1, MR= magic ring. You can check on google “crochet abbreviations” and it will guide you through lists so you can read any pattern you like! Wonderful! 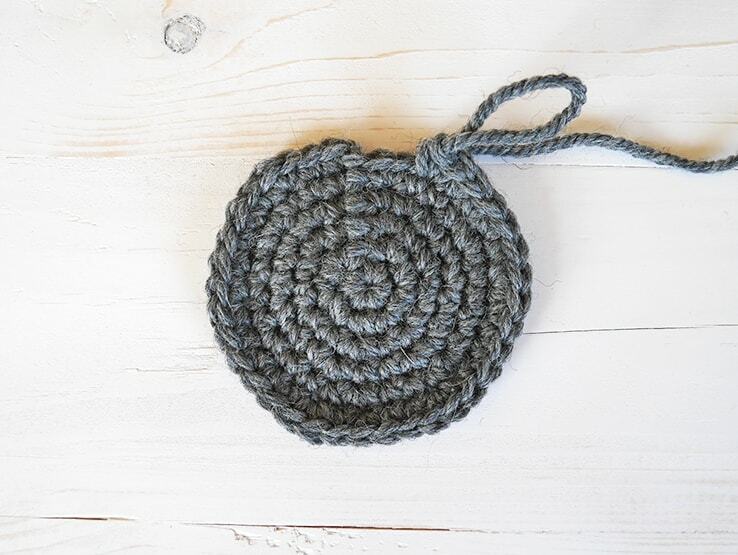 Will this work for double crochets? Double crochet tends to be more forgiving in its shape, but yes, this trick works for double crochet, also! Thank you so much for this wonderful and clearly written instruction! I thought I had just done something wrong to end up with the hexagon shape but now I know it’s normal and how to prevent it! Thank you! I am so happy that you found it useful, Kylene! Thank you for your kind words!